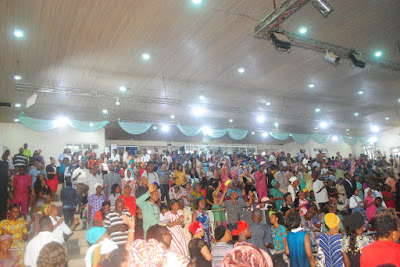 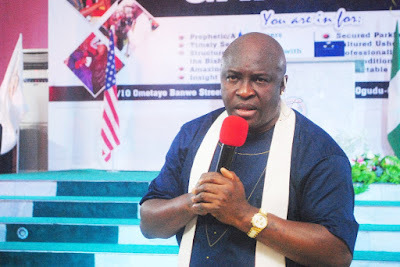 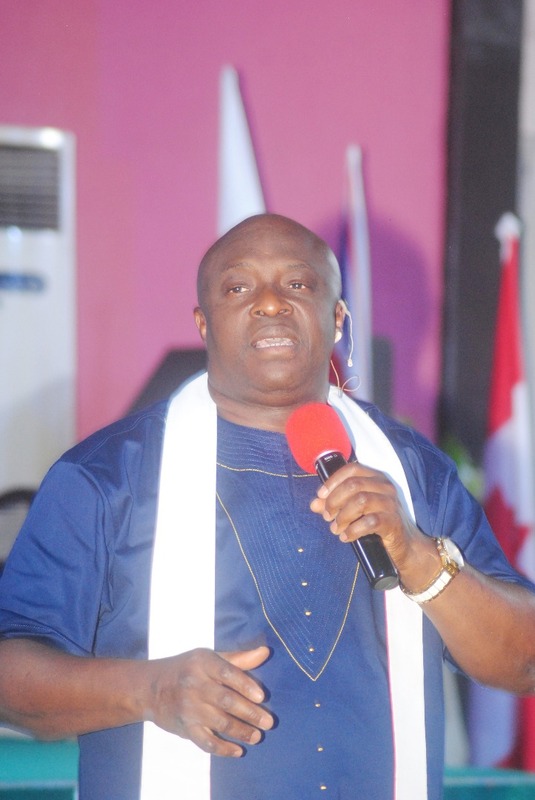 Penultimate Saturday an unprecedented massive gathering of people who had come to worship the Lord and receive a Change of Garment at the Ogudu Ori Oke Mountain of the Manna Prayer Ministry in Lagos as the Ministry held it's anointing service to end the annual 14 day fasting period. 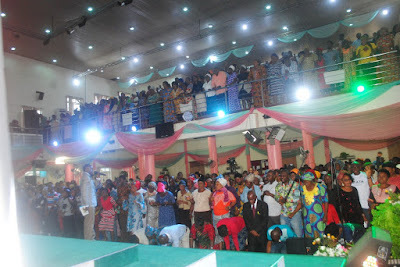 Another miraculous case of healing, was that of a woman with stone like a lump in the upper part of her stomach and had felt so much pains as a result over the years but, during the programme as the man of God was ministering, she felt something left her body and all of a sudden couldn't feel lump or stone in that particular region of her body. Also immediately the pains in her body disappeared. It was a testimony that brought tears of joy to many eyes. Healing also extended to the woman with high blood pressure to the joy of many.